Just in the month of March, it is like a peak of Summer Season whcih used to be like in May. Vijayawada and other parts of Krishna district are feeling the sting of Summer already. For its blazing summer heat, city is called Blazewada. Living up to its name, the city had recorded 42.5 degrees celsius on Monday, which came down to 40.2 degree celsius on Tuesday. However, the temperatures were 4 degrees more than normal. The situation has become extremely unpleasant for the school going children, especially those writing exams. 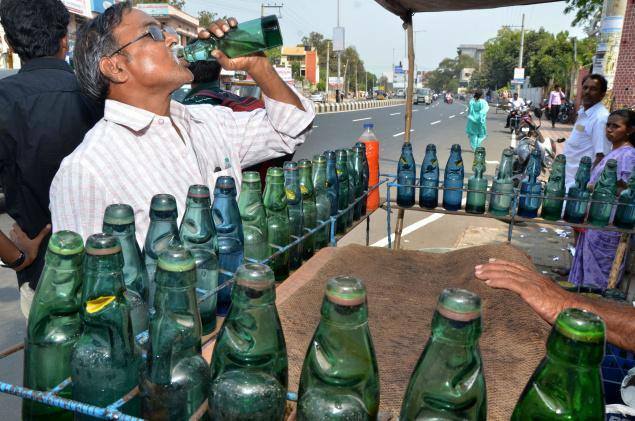 With meteorological department issuing warning of heat wave conditions since Monday for three-four days, Krishna district administration issued advisory to the people not to venture out in the sun during the day. District incharge collector Gandham Chandrudu, who took stock of the situation in view of the meteorological department warning of heat wave conditions, directed the officials concerned to take necessary precautionary measures. He directed the officials to alert people of the heat wave in urban and rural areas using all mediums including tomtoms. The district officials had even advised the people to consume more leafy vegetables, dal, buttermilk, coconut water and boiled and cooled water.